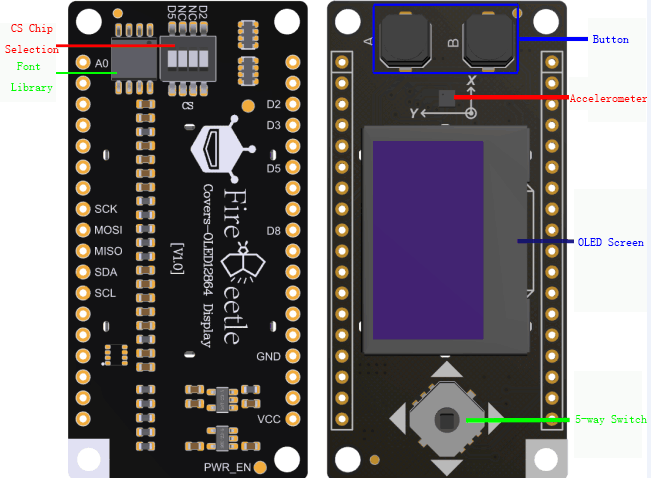 DFRobot FireBeetle firefly series is low-power development component designed for the IoT. 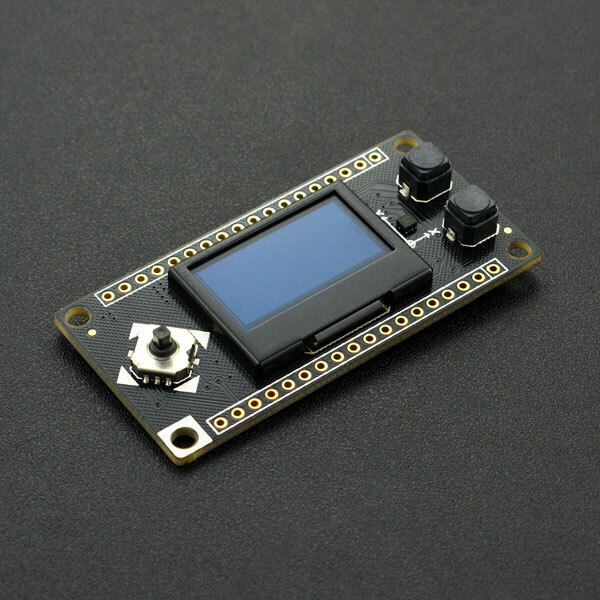 This FireBeetle covers display module is equipped with 128x64 resolution OLED and new version of SSD1360 driver, uses I2C interface, supports for the Arduino library and microPython, fully compatible with the Gravity I2C OLED-2864 screen. OLED screen has a protective frame to protect the screen, it prevents the finger from being scratched on the edge of the glass. The OLED 12864 display module also integrates the GT30L24A3W Chinese / foreign font library chip and the BMA220 three-axis accelerometer. In addition, the FireBeetle Covers-OLED12864 display features an analog directional key and two independent digital keys A and B. NOTE: NC do not need to connect, and the VCC is the power supply voltage output. NOTE: All of the following examples are belong to DFRobot_OLED12864 library files. 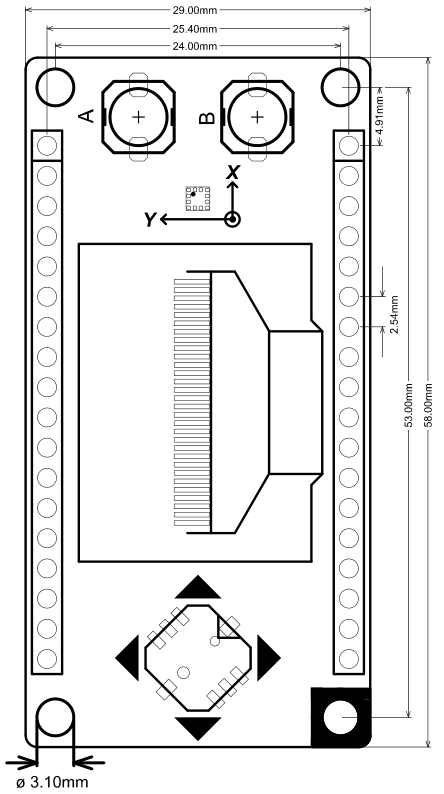 Import the specified width-high data at the x, y-axis position, starting at the top left corner. 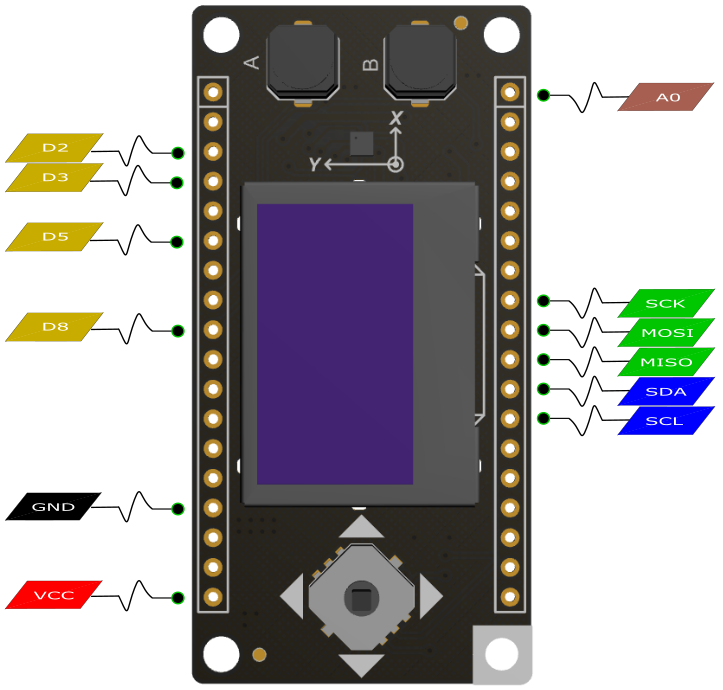 Flush the data from OLED to the screen. If not called, the data will only be stored in the OLED and will not be displayed. *Function:Switch between an analog dial frame and a digital clock frame every 5 seconds. // draw an xbm image. // with the third parameter you can define the width after which words will be wrapped. Get FireBeetle Covers-OLED12864 Display from DFRobot Store or DFRobot Distributor.